After the recent successes with natural yeast (it turns out that even I, a repeat offender of saccharomycicide (2008, 2012), can be remediated! ), I decided to try Tartine Bread again. But with Jane Mason’s starter. 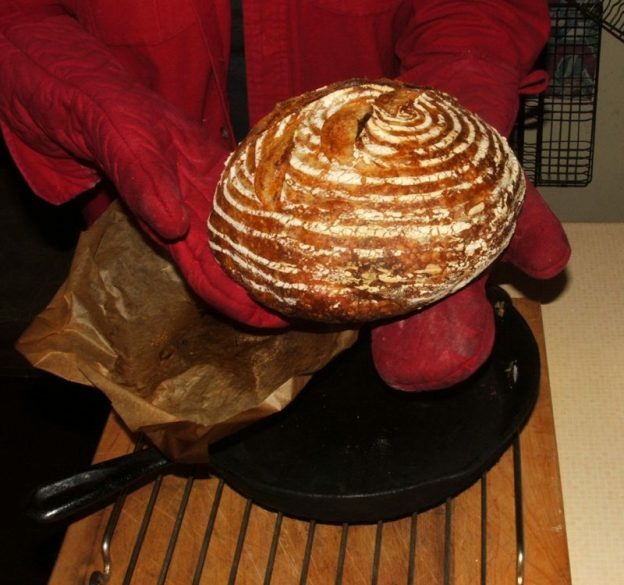 This entry was posted in baking, bread - yeasted & unyeasted, bread recipe, cookbooks, etc., equipment and techniques, food & drink, posts with recipes, sourdough and wild yeast on Wednesday, 9 August 2017 by ejm.